Each purchase directly supports the National Association of American Veterans. Enter code NAAVets at checkout and a percentage of your purchase will go directly to this organization. Thank you for your support! 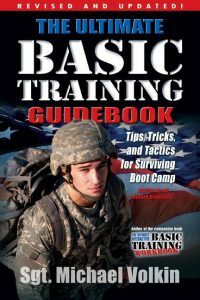 The Ultimate Basic Training Guidebook was written by a soldier for men and women who want to become soldiers. No one should enter boot camp without having read this book. Enter code NAAVets at checkout. 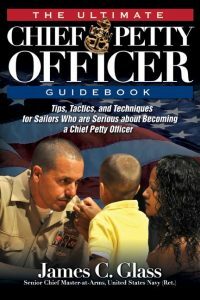 The Ultimate Chief Petty Officer Guidebook is a must-read for anyone choosing this career path. It won’t guarantee you will become a Chief Petty Officer, but it will provide you with the tools and the mindset needed for success. Enter code NAAVets at checkout. 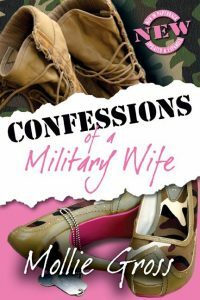 Evocative and provocative, Confessions of a Military Wife is a can’t-put-down book that will leave you laughing and crying at the same time. Enter code NAAVets at checkout. 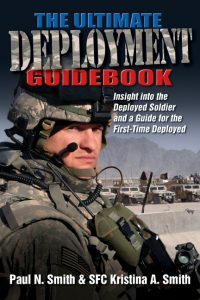 The Ultimate Deployment Guidebook is a “must-read book” for the first-time deployed, civilian contractors, family and friends of service members, and anyone who has ever wondered about everyday life for service members in a theater of conflict. Enter code NAAVets at checkout. 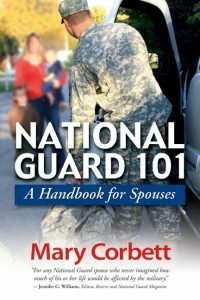 Written in a lively and informal style, National Guard 101: A Handbook for Spouses demystifies the Guard’s unique hybrid civilian-military lifestyle. It is a must-read book for every National Guard family member. Enter code NAAVets at checkout. 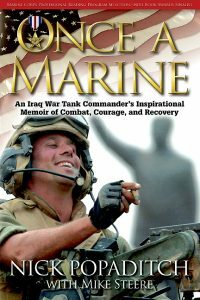 Meeting Gunny Sergeant Popaditch through the pages of his inspirational memoir Once A Marine offers up new reasons to be proud and shoulder our own responsibilities as Americans. Enter code NAAVets at checkout. Coming on the heels of the military’s recent announcement of longer deployments, Surviving Military Separation is both timely and long overdue. 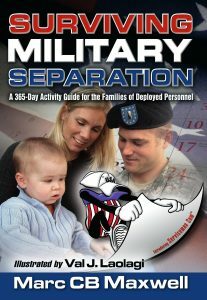 Every family experiencing a military separation will find this book indispensable. Enter code NAAVets at checkout. 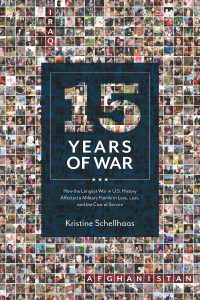 This story of faith, love, and resilience offers insight into how a decade and a half of war has redefined what it means to be a military family. Enter code NAAVets at checkout. Sergeant Volkin’s book has the charts, tables, photos, and graphs you need every step of the way to get yourself “military fit” and ready for boot camp. Knowledge is power, and stepping off the bus and into boot camp armed with everything you need to know will give you an enormous advantage over most of the other recruits. Enter code NAAVets at checkout. The 2d Ranger Infantry Company (Airborne) was the first and only all-black Ranger unit in the history of the United States Army. Its 10-month lifespan included selection, training, and seven months of combat deployment in Korea, after which the unit was deactivated. Master Sergeant (Ret.) 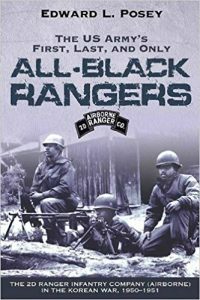 Edward Posey’s The US Army’s First, Last, and Only All-Black Rangers: The 2d Ranger Infantry Company (Airborne) in the Korean War, 1950-1951 is the first complete history of this elite, all-volunteer unit, whose members were drawn from the 3rd Battalion of the 505th Airborne Infantry Regiment and the 80th Airborne Anti-Aircraft Battalion. After experiencing the normal travails of boot camp at Fort Benning, which segregation and racism only made worse, the all-black Rangers set out to join the Korean War in late 1950. On January 7, 1951, the Rangers found themselves defending a critical railroad running through Tanyang Pass, which Communist guerillas tried to infiltrate. The nighttime action triggered the Rangers’ inaugural combat, which ended with the recommendation for a Bronze Star for gallantry for a Ranger sergeant. Additional combats with the North Korean and Communist Chinese forces erupted near Majori-ri and Chechon. But the event that propelled the 2d Rangers into the record books was their airborne assault near Munsan-Ni on March 23, 1951—the first in Ranger history. Once on the ground, Posey and his comrades executed the heroic attack and defense of Hill 581. The fighting—often conducted at close quarters and occasionally with the bayonet—demonstrated the courage of these tough American soldiers. Throughout their deployment in Korea, the 2d Rangers served with honor and achieved a magnificent combat record. Nearly sixty years have passed since the Korean War slipped into the realm of history. Now, the world will finally learn the true story of the United States Army’s first, last, and only all-black Ranger unit.